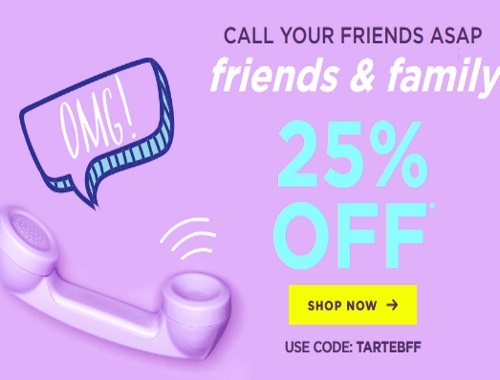 Tarte has a Friends & Family Event on now! Save 25% off everything, including new arrivals. Please note Shape Tape is excluded from promotions. Enter the promo code TARTEBFF at checkout to get the discount. Offer is valid until April 12, 2018. Click here to browse Tarte.